As a Zellner, I’ve occasionally pondered the history of the name and its obvious German roots. The curiosity never stretched beyond the cursory until my mother started digging up the family history. As it turns out, there is a strong possibility that the Zellner name can be traced back to a particular German mercenary brought over to fight in the Revolutionary War. Born in Hannover Germany, George Peter Zellner (or Zöellner) came to Staten Island as an enemy of America. 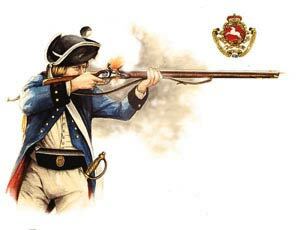 George was most likely a member of a 1778 contingent of reinforcements sent to the rebellious colonies to bolster the British mercenary army of Anspach-Bayreuth. Known to Americans under the blanket term of ‘Hessians’, these soldiers owed no particular allegiance to the British cause other than a shared view of Americans as a rebellious people who had turned against their rightful King. George may of been a member of the Anspach-Bayreuth Infantry, or perhaps a member of the Jägercorps. The Jäger, (the German word for ‘Hunters’) were light infantry troops that specialized in skirmish tactics and reconnaissance. These elite troops were an essential component of Cornwallis’ army. Mostly composed of hunters and woodsmen, these troops were well equipped to handle the heavily wooded terrain and counter the skirmish tactics of the American militia. Shortly after inheriting the Bayreuth territory, Markgraf Christian Friedrich Carl Alexander von Anspach signed a treaty on 1 February 1777 to provide troops in support of the British Army in North America. These Anspach-Bayreuth units hailed from a politically fractured region located today in modern Germany. 18th century Germany bared little resemblance to the Germany we know from more recent history. These Germanic people (as Caesar coined them), were a disjointed group of principalities that would not see any cohesion until Napoleon arrived to set the foundation of a unified state through the Code Napoleon and other administrative reforms. As a recent inheritor of Bayreuth county, Markgraf saw an opportunity for profit from the American Revolution. However his decision to send troops across the perilous Atlantic into a foreign war would have repercussions. The suffering endured by the troops fractured the connection between he and his people. Markgraf would eventually sell the two counties of Anspach and Bayreuth to his cousin, the King of Prussia. 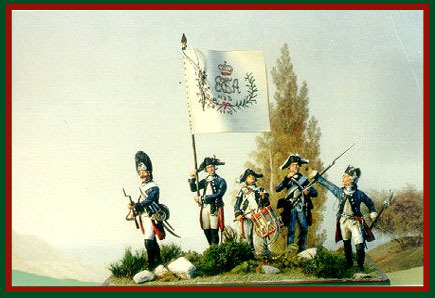 By all accounts, the Anspach-Bayreuth troops performed admirably during the Revolution. A contingent of these troops were captured and subsequently imprisoned after Yorktown. Like many of the German mercenaries, George Peter Zellner decided to remain in the colonies after the war. He would eventually migrate from North Carolina to Georgia. As a resident of Georgia and a bearer of George’s middle and last name, I am perhaps a representative of his lineage. I’ll probably never know for sure, but I can thank my mother’s research to bring to light this exiting possibility! 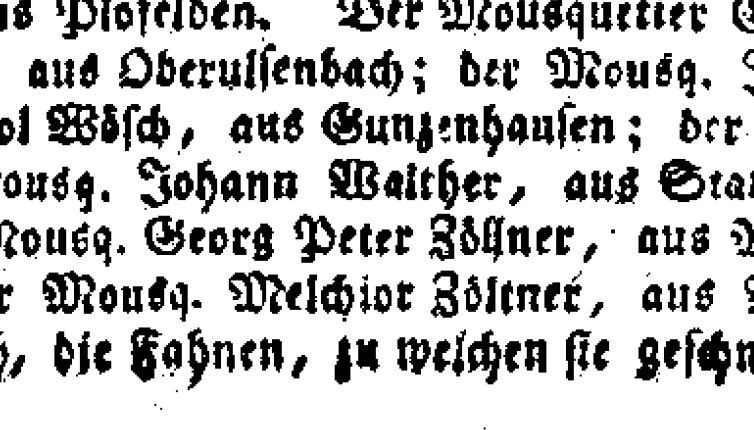 Marie over at The Rasnickfamily.org shared with me a Bayreuther Zeitung newspaper clipping from 1802. 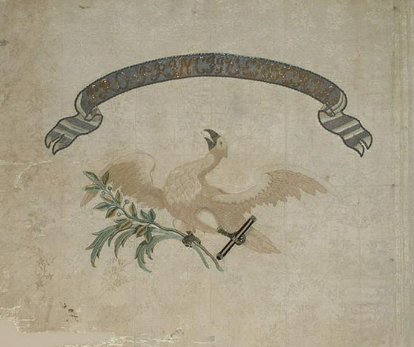 It it lists the names of the Ansbach-Bayreuther troops who did not return to Germany. Sure enough Georg Peter Zollner was listed here. wbahr on Cartridge Making Day! in 2002 I decided to share my weight loss journey! Its been a life struggle. I hope this site helps others who deal with emotional eating! Clearly, I take myself seriously.